Get Ready To Get ADDICTED ! LUSHy LUSHious is in K-TOWN babbyy !! I visited 2 Lush shops one in Deira City Center – Dubai and other Vienna Rotentrum St. , Products are natural and the smell so intense , though prices are not 100% convenient but at the end I encourage high quality products to enter Kuwait’s markets BUT with reasonable prices. Note: It may appear like this. Looli: Not at all, the brochure is vague about the matter. where is lush located in Dubai? I believe they shut down one of the stores . Can you plz let me know . Hello Kuwait Paper Dump. 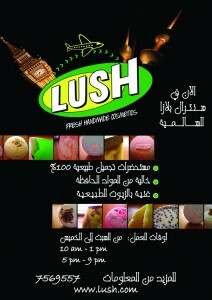 my name is Mohammed, im the owner of LUSH Kuwait. Would it be possible if i send you a more recent ad to replace this? Ofcourse, use the “Submit Paper” link on the side and we will post up a more recent advert. If you have more than one, upload them in a zip file. We don’t replace posts, we just add new ones. We’re excited to receive your new ad. PS: You can use the contact us form to communicate with us via e-mail. 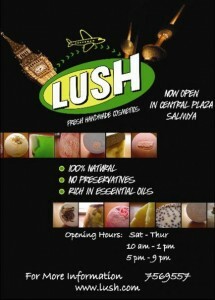 I am coming to kuwait next week ..I need some products from lush ..can any body describe to me where is Salmya plaza?? or give me the address? ” hello salmiya plaza .. is close to salmiya palace hotel …close to american university of kuwait.. 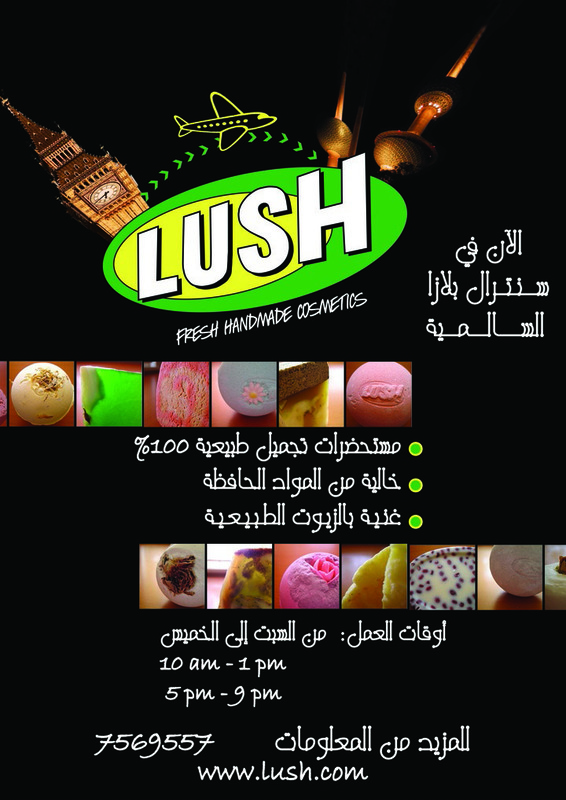 I would like to know if there is other lush shop in kuwait, if not please provide me with axact location. LUSH products is amazing products i m using it from last 2 years,,,,,,,,from India. 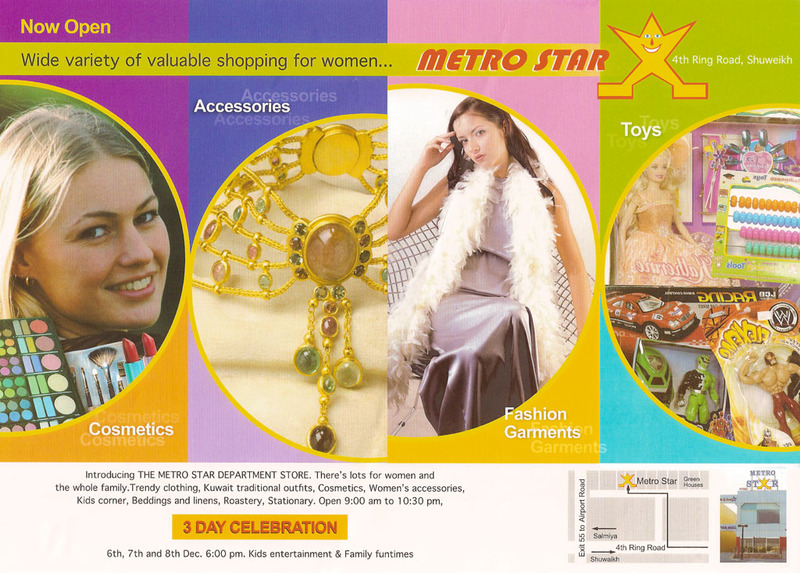 its superb, the store is full of natural fragrance,,,,,,,,,,wonderfull products love to use it. If I entered Plaza, where can I find LUSH exactly? Save time, energy, and the environment by using and contributing to us.